Joel L'Esperance scored twice in the third period to steal the game. The Texas Stars won their second and final preseason game, defeating the San Antonio Rampage 4-3. Phillippe Desrosiers and Tomas Sholl split the time evenly in net and both goalies looked solid. Big power forward Joel L’Esperance scored both the game tying and game winning goals in the third period. Two penalties committed by the Stars in the first period led to one goal for each team. On the first penalty kill for the Stars, Elgin Pearce beat everyone to a loose puck that led to a breakaway goal just over two minutes into the game. Pearce crashed the net hard and was rewarded. Adam Mascherin, the recent addition from the 2018 NHL Draft, received a generous amount of puck luck on his wrist shot a few minutes later. The puck caught the blade of a defender’s stick and took a strange bounce over Rampage goaltender Jordan Binnington’s shoulder to put the Stars up by two. Travis Morin set up the play with an impressive one-handed pass. On the Rampage’s second power play halfway through the frame, forward Austin Poganski got his team on the board. It was the first goal allowed in the preseason by Desrosiers. The second period saw Bobby MacIntyre tie the game less than two minutes in with a wicked wrist shot on the power play from the left circle. The Stars committed three total penalties in the frame. Though they didn’t score, the Stars set up a few really good looks that should connect as the season matures. One in particular was a centering feed to Nick Caamano from Mascherin behind the net. That could be a combination that Stars fans ought to get accustomed to hearing. Rampage forward Stephen Perfetto pulled his team ahead four minutes into the third period as the Rampage chipped away at a loose puck. Tomas Sholl, who replaced Desrosiers halfway through the game, was caught swimming on the play but mostly looked sharp throughout the contest. His second goal of the night came with 33 seconds left after the Stars emptied their net on a delayed penalty. L’Esperance was true from the slot. There were a couple of key areas on L’Esperance’s mind that the Stars could afford to improve upon as they get ready for opening night. The Stars open their season against the Grand Rapids Griffins next Friday at in Cedar Park. The puck drops at 7:00 PM CDT. The wheels are down in Boise, Idaho as the Dallas Stars organization is set to kick off training camp on Thursday at 11:00 AM CDT for the first time ever in the Pacific Northwest. Camp will conclude on Sunday the 16th with an intrasquad scrimmage. In regards to the Texas Stars, here are some interesting storylines to follow pertaining to each position group. 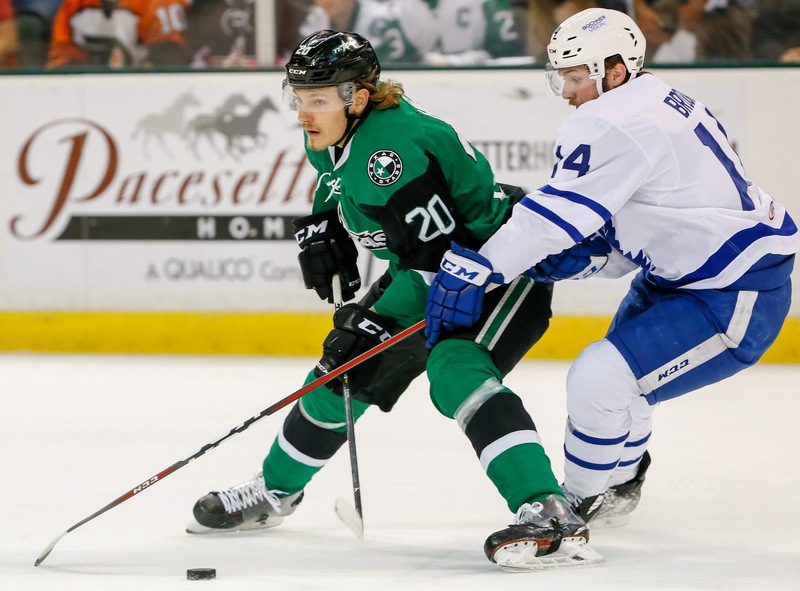 Forward Roope Hintz can speed up his career trajectory with a strong camp. 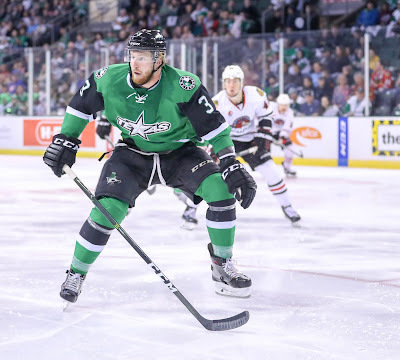 Good news for Texas Stars fans: the AHL club is shaping up to be good on paper, and it starts with the talented forward group. The logjam in the bottom six at the NHL level might not be ideal for organizational health in the long term, but it provides some intriguing options for a top six that can do some major damage in Cedar Park. The Texas Stars are all but assured to end up with an NHL caliber forward to soak up top six minutes. It’s only a matter of whom. With center Martin Hanzal recovering from spinal surgery and only Devin Shore likely locked in for fourth line duty with the parent club, there are four contenders for two spots on that line: Jason Dickinson, Remi Elie, Gemel Smith, and Roope Hintz. Dallas’ new head coach Jim Montgomery will conduct his first camp without any sense of loyalty or expectation as to where these players should be slotted. Dickinson is as overripe of a prospect as they come and has the inside track for one spot either at center or wing. Following a strong showing in the Traverse City tournament, Hintz has a solid chance of upsetting the balance and earning full time NHL duty. The safest course of action, in my opinion, is for him to spend another season adding to his game in the AHL, much to the chagrin of some Stars fans. 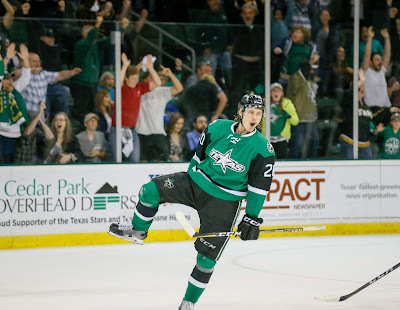 Look at it this way: Hintz is much better served soaking up top minutes in Cedar Park than spending time in the press box as a thirteenth forward in Dallas. The offseason addition of Blake Comeau to the bottom six ensured that a player like Hintz could be relegated to that possibility should he struggle in the NHL. Hintz has a higher ceiling as a prospect than either Dickinson or Shore, but Dallas will be better in the interim with either of those players subbing for Hanzal. Meanwhile, the AHL club would obviously benefit from a dominant season from Hintz. I prefer that to be the case, but there is room for disagreement. If and when Hanzal returns to the ice, bottom six minutes will be even more scarce to go around. 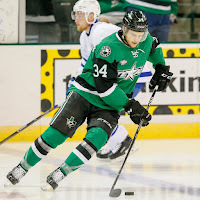 Depending on who Dallas wants to utilize as a thirteenth forward there is a really good chance that Gemel Smith winds up in Cedar Park this season, provided he clears waivers. Though Smith won’t be tickled by the idea, Texas Stars fans would welcome an established forward to help offset some of the top players Texas lost to free agency. Should Smith be demoted, he would provide a nice call up option for the parent club. No matter how it all shakes out, the Texas roster will come out of this camp sitting pretty in the forward department, which is a different tune than expected considering they lost some important players. 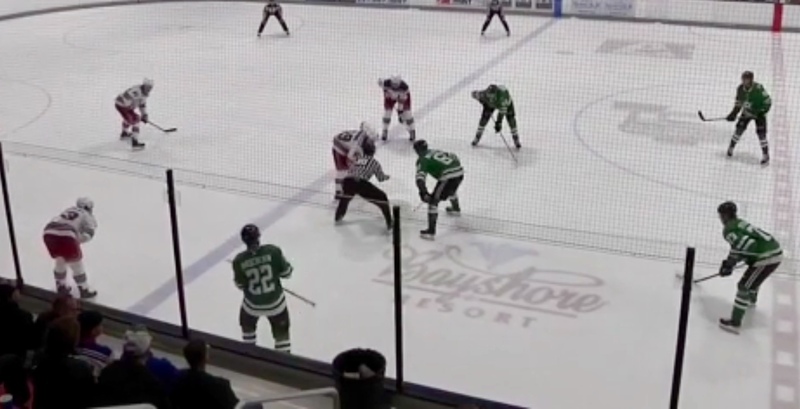 Strong play in the Traverse City tournament from Nick Caamano, Adam Mascherin, and Tony Calderone should translate to a good camp for all. These, along with previously mentioned players, will form a forward group to get excited about. The curious signing of veteran defenseman Roman Polak during the offseason sends mixed signals about what the Stars think of Dillon Heatherington. He would’ve provided a cheaper and perhaps more effective option as a seventh defenseman in Dallas. Is there anything that he can do in camp to force the Stars’ hand to clear up space amongst the defense corps? If not, Texas will gladly take him as one of their top defensemen. After Heatherington, the most intriguing question is where Chris Martenet fits into the shuffle. The left-handed Indiana native only put up five points over 52 games in Idaho last season but possesses an interesting mix of size (6’7”) and skill. The coaching staff was unable to give the prospect blue liner a good look in last year’s camp as he was dealing with a case of mono for a considerable period. With all that behind him, Martenet will have a good chance as anyone to slot into a crowded defense corps in Cedar Park. The ink is still wet on a three-year entry level contract for Ben Gleason, who turned in an eye-catching tournament. Suddenly, there aren’t as many seats to sit in and the music stops after training camp. The obvious hole in the defense corps is the dearth of right-handed shots, a common issue among several clubs. Can former sixth round pick Jakob Stenqvist show enough in camp to force the Stars brass to make a tough decision? The Swedish prospect notched a couple of points in Traverse City and saw some time on the power play. That should be enough to provoke Jim Nill and company to think long and hard about Stenqvist’s potential in Cedar Park versus heading back to Europe. 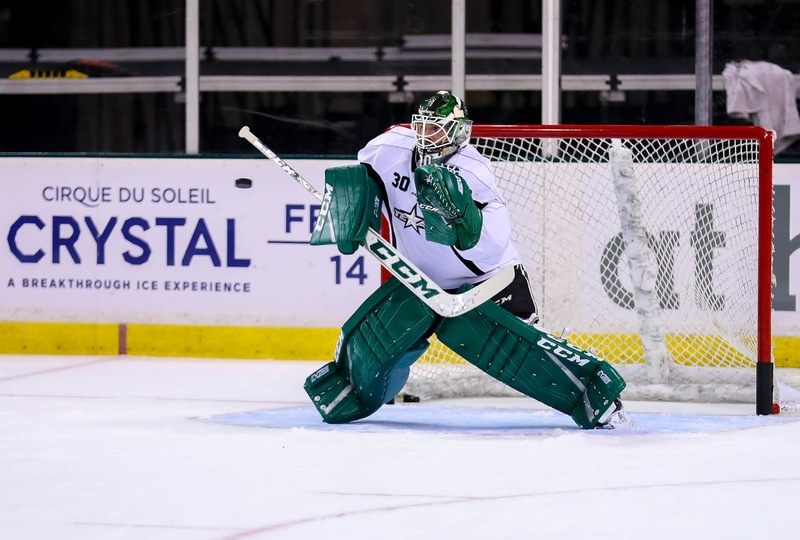 Rookie goaltender Colton Point had an up and down tournament in Traverse City and is looking to further establish himself as a starter with the Texas Stars. Point is pencilled in at the AHL level this season, so the biggest question mark is Philippe Desrosiers. He should be in the AHL at this point in his career based on when he came out of juniors and his draft positioning, but he keeps getting jumped by others on the depth chart. First, it was Landon Bow and now it appears to be Colton Point. This year is the last chance for Desrosiers. If he’s going to be in the Dallas system long-term, then he has to make the AHL team call him up and use him. That starts this week with a strong showing in camp. Dallas got out to a 2-0 lead, gave it up and then came back strong to finish with a 7-3 margin in the final game of their tournament. The Stars came out of Traverse with 5th place, a distinction that really has no bearing on the regular season of any team whatsoever, so don't worry about it too much. Dallas scratched a few players that are expected to see a lot of action in Dallas training camp this coming weekend. Miro Heiskanen, Roope Hintz and Colton Point were all scratched along with Joel L'Esperance. 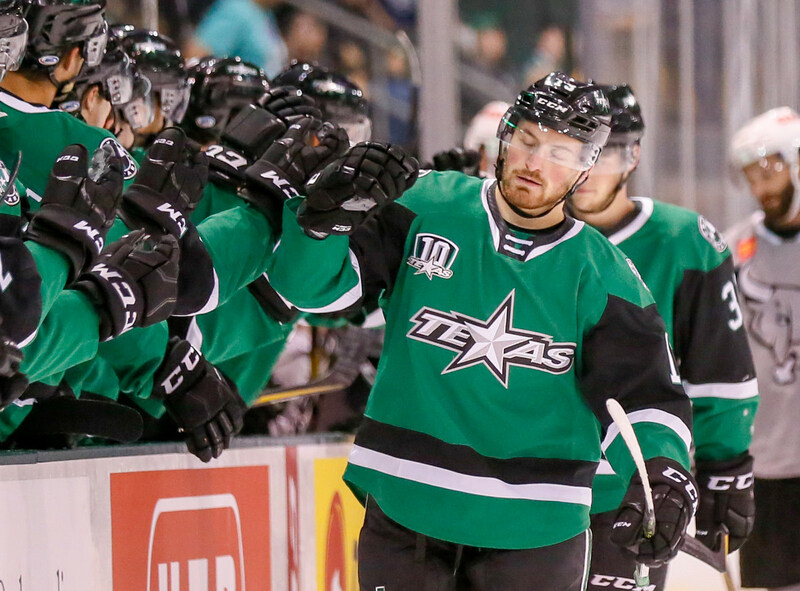 Texas Stars forward Sam Laberge wore the captain's "C" today and scored a shorthanded goal in the third period. Defenseman Ben Gleason continued to impress, scoring two goals and potting an assist today. He's got to be working his way to an AHL camp invite at this point. Tony Calderone, who wore an "A" today, had the opening goal. I have a feeling that he is going to break out for Texas this season as a more mature player coming out of college (age 23). When you're thinking about how many games the Texas Stars have played later on this season, don't forget these four games for this select group. A huge number of these guys will now proceed to Dallas camp and play in multiple preseason games as well. Every game is a battle. Last week, the AHL announced a revamped video streaming platform all games this season, AHL TV. The announcement was the culmination of more than a year long project helmed by the league offices and VP of Communications, Jason Chaimovitch. Around this time last year, the AHL put together a group of about a dozen senior executives from teams across the league along with representatives from the league offices itself to explore a new video streaming platform. The group sat down to hammer out the most important aspects to consider in making the transition, settling on four. 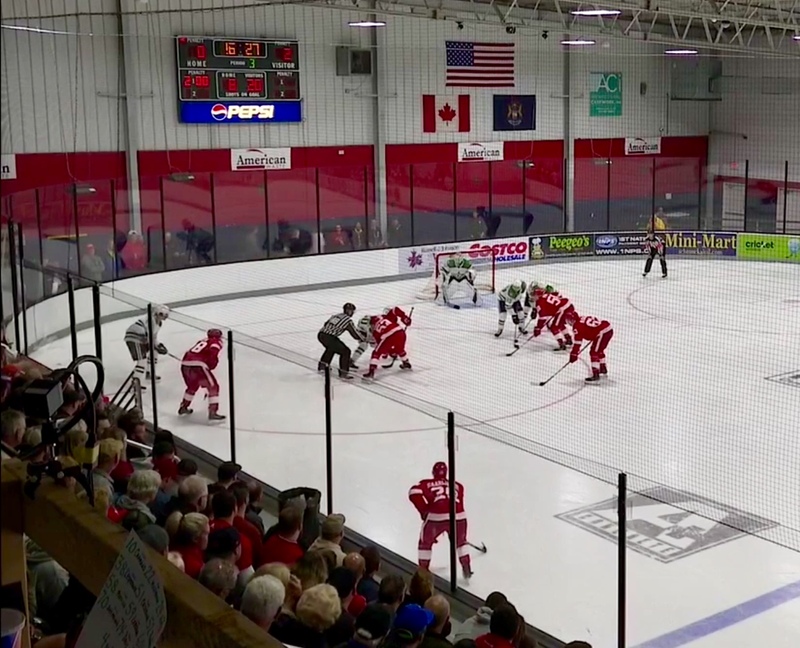 Making the decision to go with Hockeytech midseason gave the league a chance to test their technology with live games. While the “proof will be in the pudding” for Chaimovitch and his team, the league has been working with each of the 31 teams to ensure buy-in from everyone from camera operators to video board operators. Chaimovitch is most excited about the new ViPr view, which will be offered in addition to the regular game feed. ViPr offers a panoramic, 360-degree view of the ice that fans can pan, tilt and zoom on using their phones. It’s like you’re sitting in the jumbotron and moving your head around to watch the play as you move your phone. One really interesting aspect of this feature is the ability to look at things that aren’t on the regular feed. Fans, and importantly scouts and coaching staff, can look behind the play to see what’s going on just off camera. They can look at the bench to see what the coaches are doing. They can look back at the crease to see if their club has pulled the goalie late for an extra attacker. Chaimovitch is nervous for opening night but is very encouraged by the positive fan response so far to the changes. With price point and quality improvements, more eyeballs could be tuning in to watch the AHL than ever before. After trailing 3-1 going into the third period, Dallas came back to make it to overtime 4-4, ultimately falling in the shootout, 5-4. Adam Mascherin had the first fight of the season with Minnesota's Louis Belpedio after the latter crushed Ty Dellandrea on a legal hit on the near boards. Mascherin figures to be a big part of the plans for the top six in Cedar Park this season. It's interesting to see that he might have a physical edge to his game as well. That's not really been big part of the Stars' game in a while, but it could add a new wrinkle. Sam Laberge had a quick fight in the second period, but it didn't amount to much. Jason Robertson scored in the first and third and assisted on the go-ahead tally in the third as well to tally a tourney-lading seven points. Robertson is too young to come directly to Texas this season thanks to the NHL-CHL Transfer Agreement, but he will likely be another ATO at the end of the season in March/April, depending on how his Kingston Frontenacs fare in the OHL playoffs. James Phelan got a penalty shot chance in the third period with Texas down 3-2. The five hole shot was denied. Phelan is on an AHL contract to Texas after finishing up his major junior career with Moncton, collecting a total of 74 points in his final season on 64 games between Victoriaville and Moncton. Miro Hesikanen scored twice in the third period to tie the game and then push it to a 4-3 Dallas lead. Do you need to say much else about the first rounder at this point? Ben Gleason has been Heiskanen's power play partner, and he's looked pretty good. The defenseman won the OHL championship with Hamilton this past year and had 3-15=18 in 21 playoff games to get there. He was the top scoring defenseman on the squad in the regular season as well (9-39=48). Colton Point had a much better showing in game 2 than in the previous game. He only allowed two goals on about 25 shots. The Stars will count that as progress. More than that, Point never really made the type of mistake that he made in game 1 and was rarely out of position. He made several key saves on the penalty kill against some dangerous Red Wing forwards. This game can go down as a positive for Point. Calderone's goal was set up nicely by Nick Caamano. Caamano, who found the score sheet a couple times in the previous game, has had a good tournament so far. These two players could potentially find themselves on the same line in Cedar Park this season--an intriguing possibility considering the early returns. Roope Hintz has been good but not great. For a forward expected to take the next step and cement himself as one of the top prospects in the Stars' system, you would hope that he excels in this type of setting. That just hasn't been the case. Not all top players are going to have an amazing tournament, but strong play in Traverse City has a way of gaining the trust of the coaching staff (see Dries, Sheldon). Look for Hintz to turn it on a bit over the next couple of days. Joseph Veleno is a name that Stars fans are familiar with. He was a conventional pick for the Stars at number thirteen in the 2018 draft in most mock drafts. Instead he fell to thirty, where the Red Wings were happy to take him. Veleno was one of the better players on the ice during this game. Ty Dellandrea, whom the Stars took instead of Veleno, was pretty invisible. Dellandrea did notch three assists in game 1, so there's nothing in particular to be concerned about. It will just be an interesting thought experiment to compare the two forwards as the years go by. The Stars prospects will be back at it on Monday at 2:30 CDT against the Minnesota Wild. 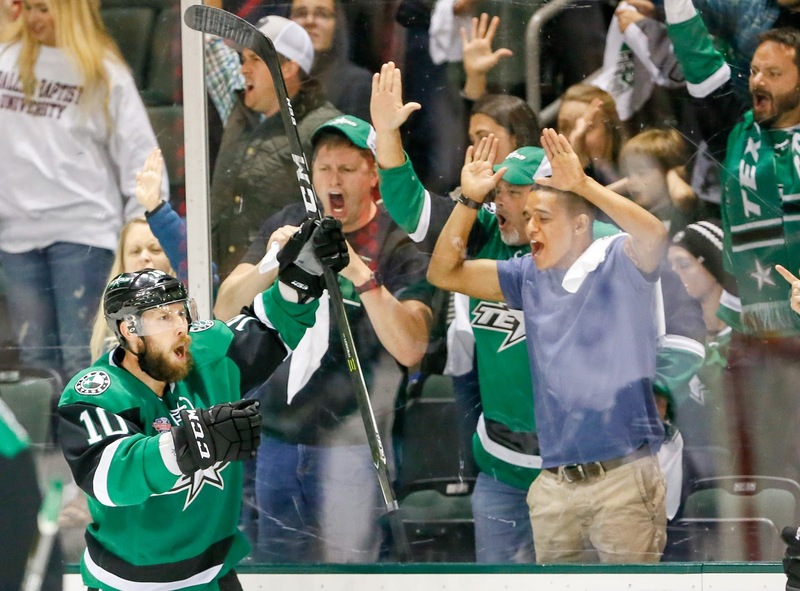 Texas Stars fans, he likely won't be seeing any time in Cedar Park. Ty Dellandrea, the Stars' first round draft pick from 2018, tallied three assists, as did Jason Robertson. Robertson figures into the plans of the Texas Stars sooner rather than later, and game one was a testament to his scoring prowess. All three assists from each player came on the power play. If Robertson can continue to improve his skating, he will be an absolute weapon for Texas from multiple areas of the offensive zone. Two other players who stood out were Adam Mascherin and Nick Caamano. Both will be competing for top six minutes on the wing in Cedar Park this season. Mascherin had a power play goal and an empty netter in the third period. Caamano tied the game early in the first period when he was basically 1-on-1 with New York's goalie prospect. Texas will rely on players like them to replace the scoring they lost in free agency. The power play was a bright spot for the Stars, but the penalty kill will need some attention. They scored four times on the man advantage and allowed three shorthanded. Roope Hintz saw significant minutes on the kill alongside Caamano. It will be something to keep an eye on throughout the duration of the tournament as Texas will lean on Hintz to fill multiple roles in the upcoming season. Though expectations for goalie prospects in these types of tournaments should be held in check, Colton Point did not have a strong showing. The former collegiate standout was a bit overwhelmed on the penalty kill and was caught swimming a couple of times. In the first period, he mishandled a puck and the Rangers cashed in as a result. It's a long road ahead for Point, and hopefully he can bounce back with stronger play over the next couple of games. The Stars prospects will play game 2 on Saturday at 6:00 PM CDT against the Red Wings. Forward Roope Hintz will play in Traverse City this weekend. The madness begins this weekend in Traverse City, Michigan. The annual prospect tournament featuring young guns from eight different NHL clubs starts off tomorrow. Fans with access to Fox Sports GO can stream all the games online. Links are provided on the tournament homepage on DallasStars.com. In addition to a bevy of current Stars, there are a lot of new faces. Many eyes will be on Dallas's first round pick from 2018, Ty Dellandrea. At the draft this year, the pick was a bit of a headscratcher but we've learned more about Dellandrea now, including his recent diagnosis of celiac disease that affected his performance, that puts his pick in perspective. Dellandrea will be going back to juniors this season in all likelihood and definitely won't play for the AHL club for a few more years yet. Adam Mascherin will be with the Texas Stars this year despite being drafted just a few months ago. Technically, he was re-drafted after not signing with the Florida Panthers following his first draft eligibility in 2016. He's a proven scorer in the OHL and we've got him penciled in for top six duty in Cedar Park. Colton Point is coming out of college early and he'll be in a battle for the starting role in Texas this month. This is his first action since making that call. How quickly he comes along in the professional game will be a huge key to the Texas Stars overall season success. On defense, I don't think we can leave the topic without mentioning highly-touted Miro Heiskanen. I would hesitate to call him a player of interest to the Texas Stars though. If Heiskanen is somehow not on the opening night roster for the Dallas Stars, then something has gone very wrong. Keep an eye out for players on AHL contracts making their mark. Sheldon Dries got his fantastic season last year started in Traverse City. Remember that this tournament is coached by Derek Laxdal, so anything good that happens here could set up AHL players for the rest of the year. Yet another call up for the AHL Texas Stars. This one comes on the media side of things. Brien Rea will be the new host of Stars Live after calling Texas Stars games for the past four years. Two of the three radio voices of the Texas Stars have left for the NHL in team history. Owen Newkirk is co-hosts Dallas pre-game, intermission and post-game radio shows on 1310 AM and 96.7 FM in Dallas. Rea's replacement is Brian Tosti, who has spent the past two seasons with ECHL Greenville. Before that, he was in the USHL in Bloomington and the AHL in Rockford. 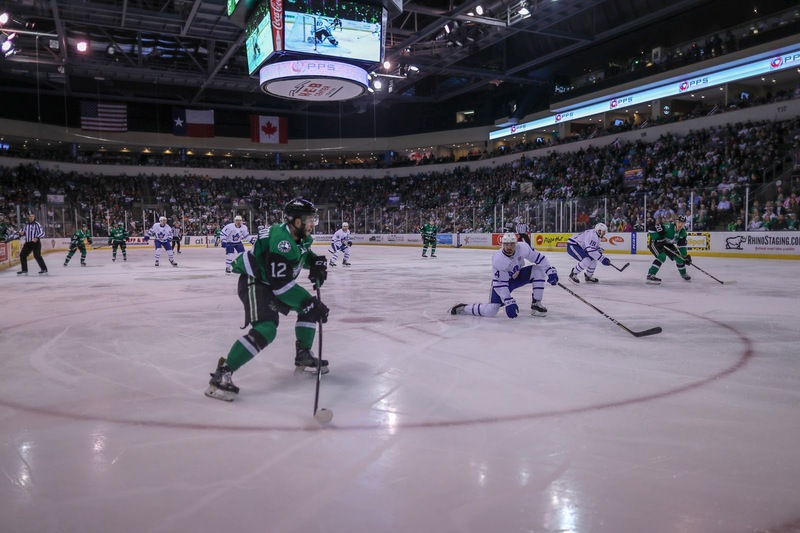 The Texas Stars, American Hockey League affiliate of the NHL’s Dallas Stars, announced a change to their broadcasts for the upcoming 10th anniversary season. Brian Tosti will take over as the team’s new play-by-play voice and Director of Broadcasting and Media Relations while Brien Rea will be moving on to join the Dallas Stars broadcast team beginning in October. Tosti (TAH-stee), 27, joins the Texas Stars after spending the last two seasons with the ECHL’s Greenville Swamp Rabbits. Along with calling games for Greenville, the Clifton Park, N.Y. native also managed the team’s public relations and assisted in generating content for social media efforts. Prior to his move to Greenville, Tosti spent two years as the voice of the Bloomington Thunder in the USHL, which included assisting in the expansion of the new franchise in 2014. His career began in the broadcast department of the AHL’s Rockford IceHogs. Rea (RAY), 35, has been the longest-tenured broadcast voice in team history having called Texas Stars games over the past four seasons along with managing the team’s public relations efforts. This season, the St. Louis, Mo. native is joining the Dallas Stars broadcasts as host of Stars Live, the pre-game, intermission and post-game show during broadcasts on FOX Sports Southwest. This week begins the steady march to opening night for the Texas Stars. 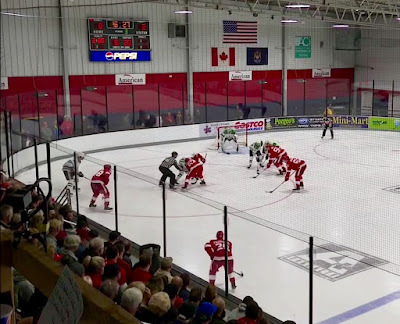 Out in Michigan, a collection of draft picks and prospects will play in the Traverse City Tournament. Here's a rough outline of all the events that take us to Opening Night. As mentioned above, Traverse is a prospect tournament pitting young players from eight different NHL teams against each other in a quick four-game tournament format. Everyone plays everyone else in their division and then first plays first, second plays second, etc. 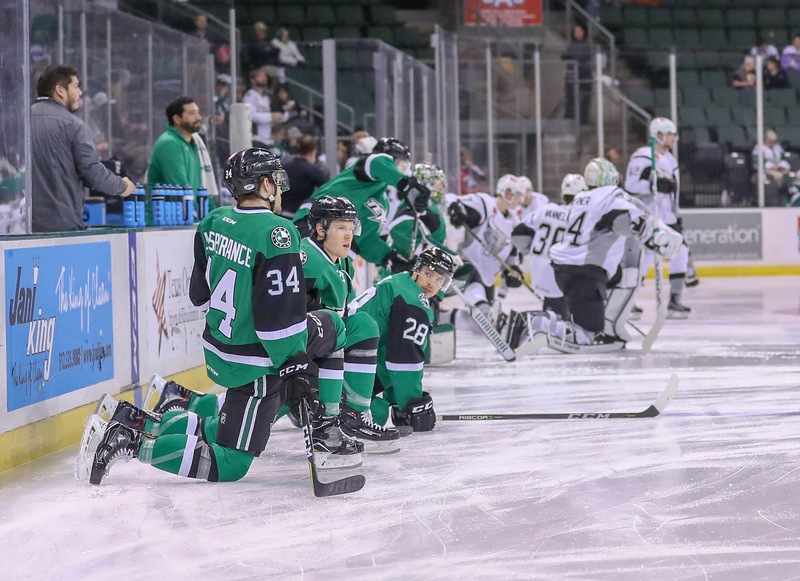 The team is coached by Texas head coach Derek Laxdal and features a boatload of current Texas Stars, including Nick Caamano, Tony Calderone, Roope Hintz, Sam Laberge, Joel L'Esperance, Niklas Hansson, Miro Heiskanen, John Nyberg, and Ondrej Vala. Another bevy of players are expected to play for Texas as early as this year, including Colton Point and Adam Mascherin. There's no rest for the Traverse crew as they roll to Idaho for Dallas training camp starting next Friday. The quick camp is capped with an intrasquad scrimmage before Dallas hits the road for a slate of preseason games over the coming weeks. Many Texas Stars will play in preseason games with some nights featuring significant lineup contribution from the AHL side. As decisions are made, players will be released to juniors or Europe and then a large cut will be made to kick off the next phase. A quick home-and-home with San Antonio is the only tune-up Texas gets before hitting the regular season on October 5th. Keep in mind though that some of these players will already be a full month into the season by the time the puck drops that day. 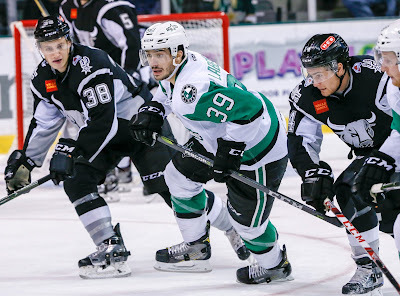 The Western Conference Champion Texas Stars open the season with a pair of home games against new divisional foes Grand Rapids and Milwaukee. The next time when either Dallas, Texas or Idaho don't have a scheduled game from this point on is the end of the season, April 20th. There are more than a few confusing concepts in professional hockey, especially at the minor league level, and a number of terms get thrown around without a second thought about what they actually mean. 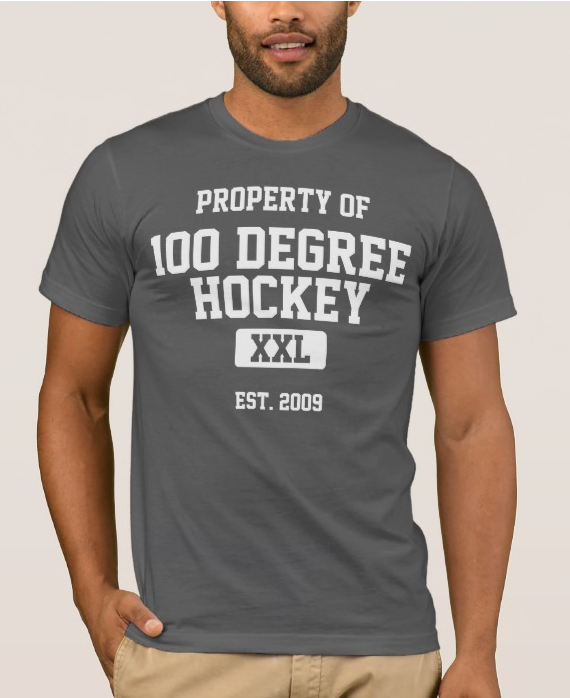 For many years now, 100 Degree Hockey has maintained a glossary of these terms and concepts to help everyone learn more about the league and the sport. Today we published an update for the 2018-19 season, which you can find here. Let us know if there are other topics that you would like to see covered.